This is the Red Auditorium in the movie theater in Krakow called Kino Pod Baranami. 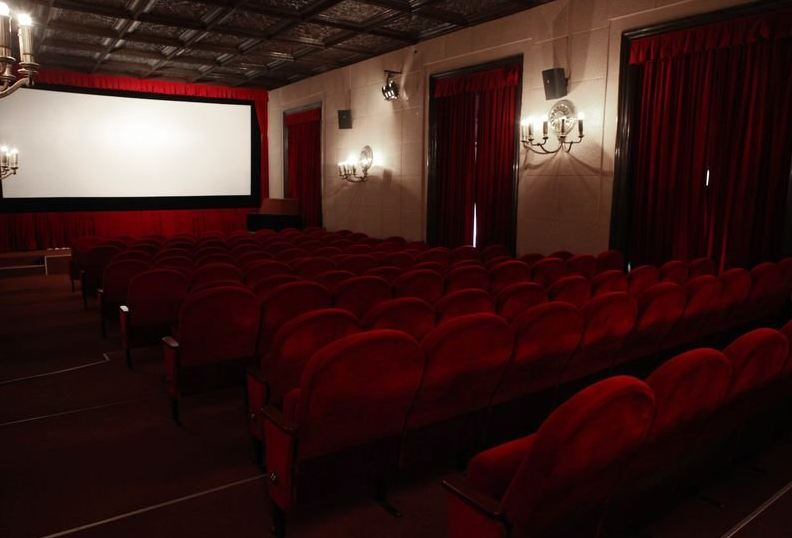 The cinema, situated in the Palace at the Main Square, was founded in 1969 and the history of the the building can be still felt inside. Especially in the Red Auditorium. Red velvet armchairs, dim light from chandeliers and decorated wooden ceiling create a nostalgic atmosphere. The dimensions of the room, materials and colours (also hidden technical equipment like speakers and air conditioners) make me feel intimate in this interior and affect the image and sound of the film. The cameral surrounding helps to experience and focus more on a movie. It feels like moving back in time to the era of black and white pictures.